It's been a long time since I last used a loose eyeshadow. I was a huge fan of them a couple of years ago and actually accumulated quite a few, but the mess factor they carry eventually put me off. I just couldn't be bothered anymore, so I have stuck with pressed eyeshadows ever since. It's a shame too because loose powdered eyeshadows are actually pretty nice as far as texture and pigmentation goes. I received NYC New York Color's Sparkle Eye Dust Eye Shadow in Smokey Topaz in my Influenster Paradise VoxBox, and to be honest, I was a little hesitant about it. But ultimately, the gorgeous taupe color and the beautiful shimmers were enough to pull me in. We all know I can't resist a good neutral, shimmered eyeshadow. 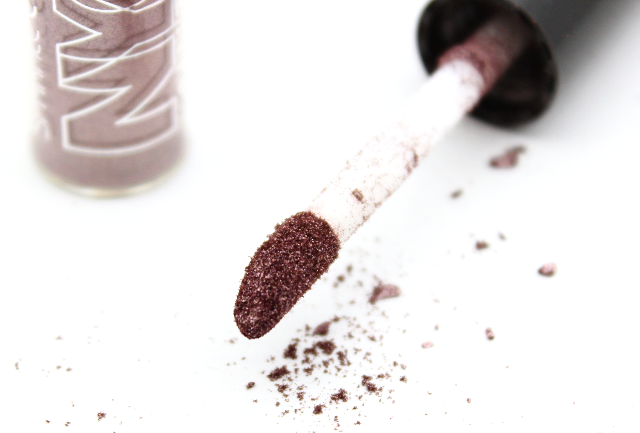 Smokey Topaz is a gorgeous taupe, with pretty glistening shimmers throughout. This eyeshadow comes housed in a tube and contains an applicator that allows for precise product placement. I think it's pretty interesting that this loose eyeshadow comes in a tube with an applicator that precisely applies the eyeshadow but quite frankly, I think I would have preferred this to have a jar type of packaging. For starters, you have to pull out the wand from the tube in a very slow motion. If not, eyeshadow bits will fly all over the place. Also, whenever I apply the shadow onto my lids in a patting motion with the applicator wand, I get lots of fall out under my eye area. For this reason, I suggest doing eye makeup first before you apply foundation and concealer, so the fall out can easily be rid of with a brush or makeup remover wipe, without disturbing your face products. (TIP: Instead of applying the eyeshadow with the applicator, use your finger to gently pat on the shadow instead. The fall out is lessened tremendously). The mess factor of loose powders is almost always hard to dodge, no matter what sort of packaging they come in. But in this case, I really feel that a jar would have been a little more practical. 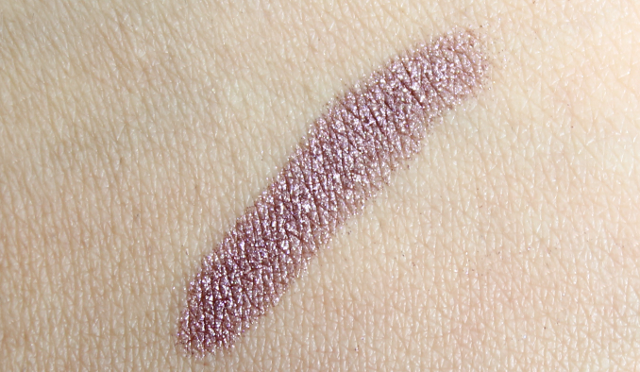 Applicator/packaging issues aside, I think the NYC New York Color Sparkle Eye Dust Eye Shadow in Smokey Topaz holds it's own in a few other departments. The color payoff is not too shabby, and the texture of the shadow is rather lovely. It's very smooth to the touch, and it's easy to blend-maybe a little too easy, actually. Try not to over blend the shadow, as doing so may lessen it's intensity. The taupe color and shimmer finish are right up my alley. This is usually the kind of color I reach for when I want to create a simple, effortless neutral eye, without any fuss. And the shimmers add a pretty iridescent glistening touch, which I like. As for longevity, over an eyeshadow primer I can get about 5-6 hours of wear time before some fading and creasing begins to take place. It's not the most long lasting eyeshadow for me, but I do have oily lids. Those with normal-dry skin may fare better with lasting power than I did. Yes, application was a little messy. And the length of wear on my oily lids isn't really anything to write home about. But I think smokey topaz's gorgeous color and smooth texture more than makes up for it. 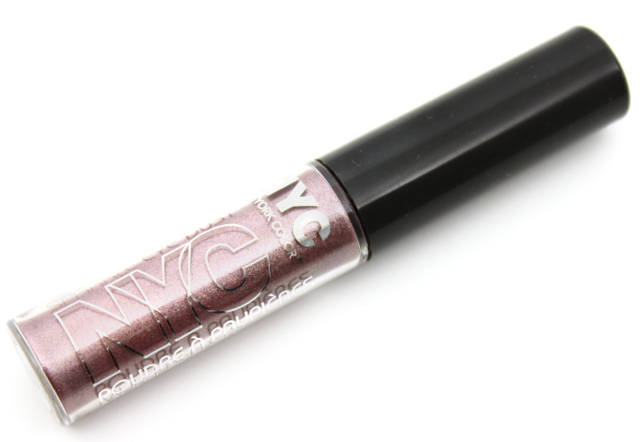 Therefore, if you are fond of shimmered loose eyeshadows, I think N.Y.C. 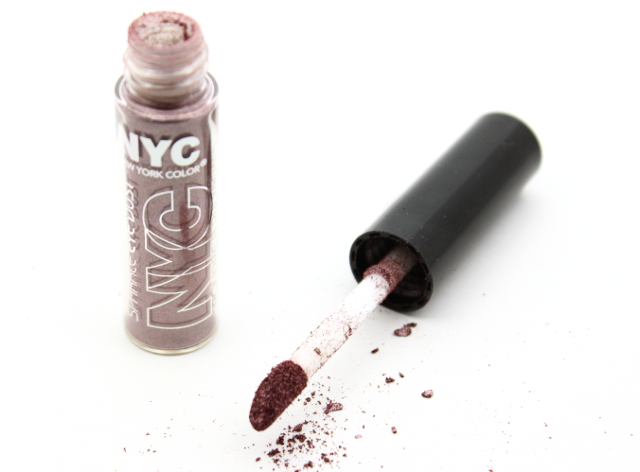 New York Color's Sparkle Eye Dust Eye Shadow in Smokey Topaz is worth a look-especially if you are a taupe lover. It's super affordable too, which is nice. Have any of you tried the N.Y.C. New York Color Sparkle Eye Dust Eye Shadows? What did you think of them? Disclaimer: I received this product complimentary for testing and review purposes from Influenster. For more information, please visit my disclosure page.